Twiga Services & Logistics has successfully provided turn-key projects for military, security and humanitarian aid clients underpinned by the development of local capabilities and technology transfers. These projects include Armoured Vehicle manufacturing; joint development of military maintenance workshops; establishment of logistic support systems and project management as well as the supply of a wide range of technical training programmes. With more than four decades of institutional knowledge and experience in the South African defence industry and defence engineering Twiga Services has successfully developed armoured vehicle manufacture facilities in Sub-Saharan Africa. 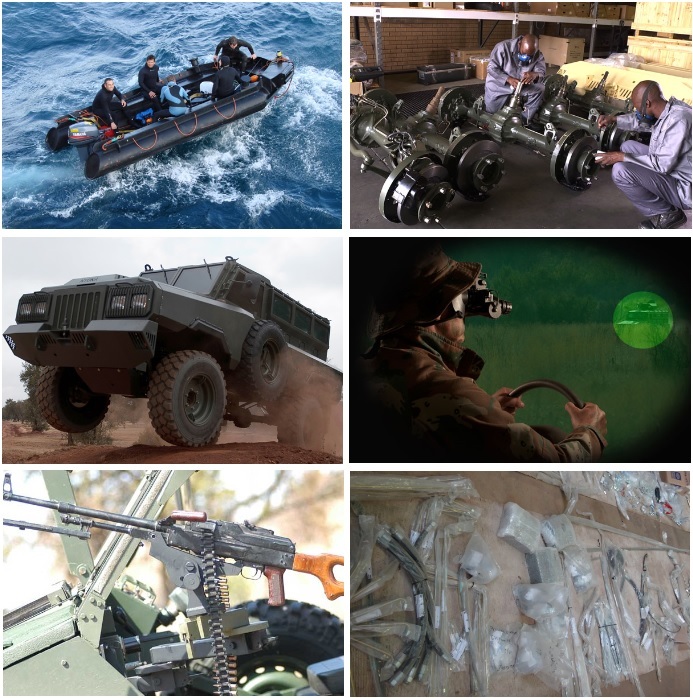 Client specified joint ventures drive the development of indigenous defence capabilities supplying armoured vehicles, rugged boats, night vision and thermal imaging devices and mobile field equipment systems. Project Management and Defence Advisory services.